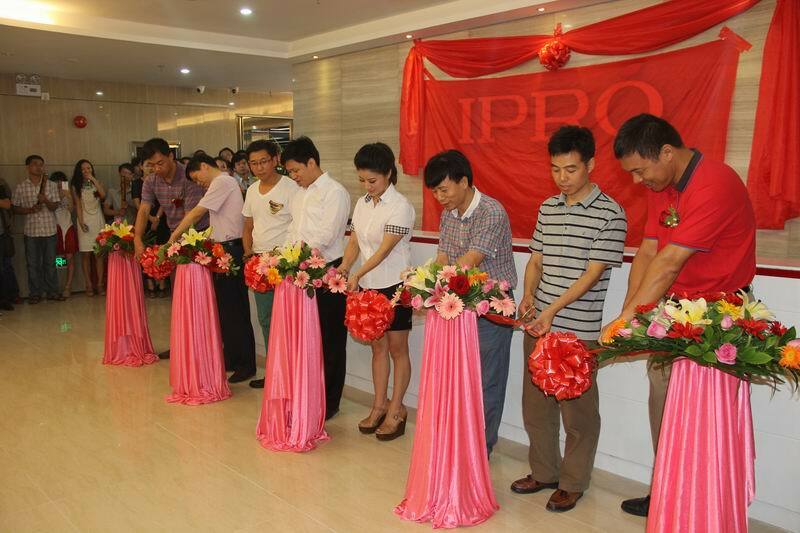 IPRO new office housewarming ceremony was held in TAOJINDI Electronic Commercial Base Building, Longhua new district, Shenzhen on August 18th, 2013 morning. 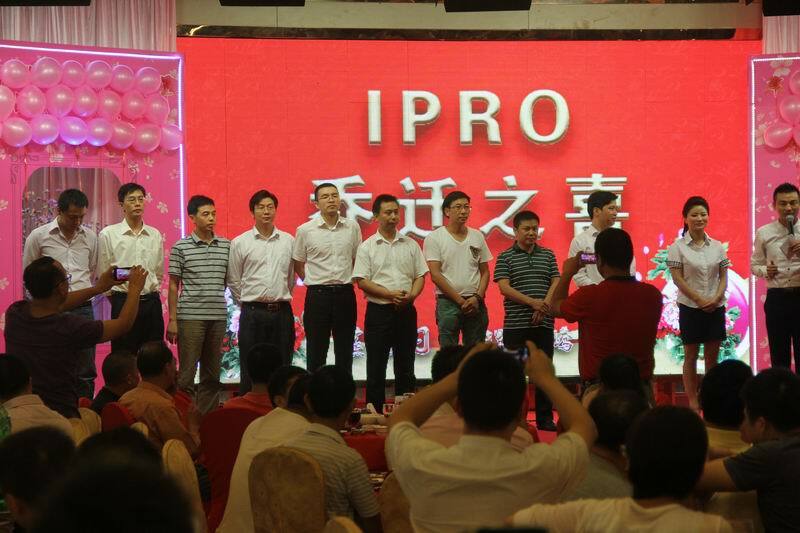 Shenzhen government officers, MTK representatives, major material suppliers and IPRO agents representatives as well as IPRO staff gathered there and witnessed one more milestone of IPRO group development, the ceremony was exuberant, full of laughing, singing and atmosphere beaming. 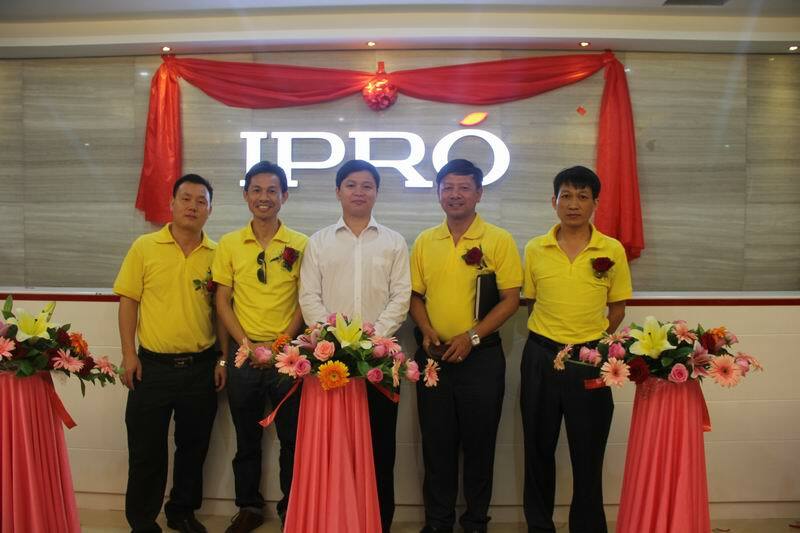 IPRO CEO Mr. Martin Mei made a address in the opening ceremony: firstly, he expressed his deep appreciation to leaders of all circles, worldwide agents, material suppliers and my staff for your continuous support during IPRO years of development. 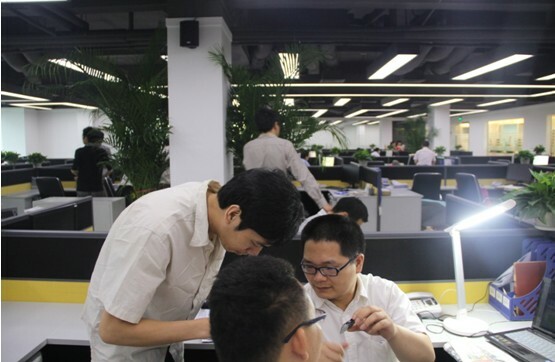 Then he reiterated IPRO consistent management principle—“Share” and “Concentration”, willing to share with staff in order to gather the most excellent Chinese mobile phone talents to work together, willing to share with worldwide IPRO agents, suppliers in order to gather the most excellent cooperation partners; IPRO focus on resources, professional and dedicated, only doing one thing: manufacturing really good mobile phones. 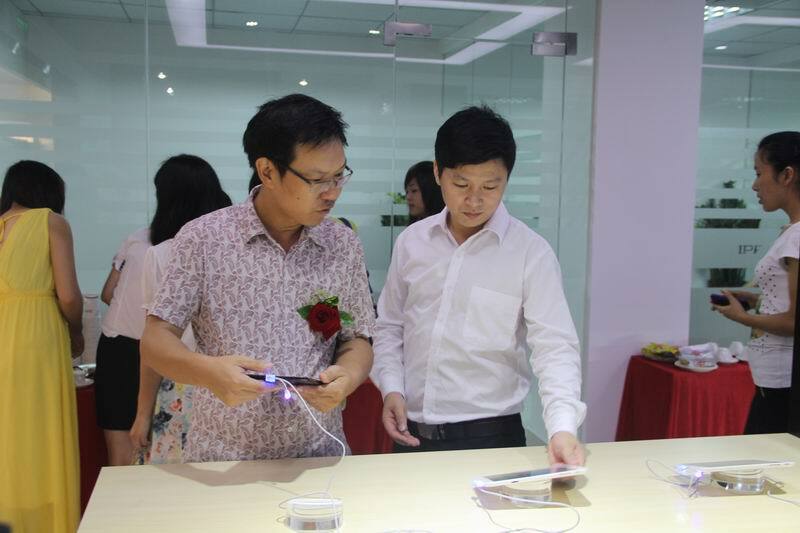 At the end, Mr. Martin Mei introduced IPRO product R&D consistent insisting core-value: Fashionable and Practical, fulfill consumers basic features requirement and dedicated to build an art. 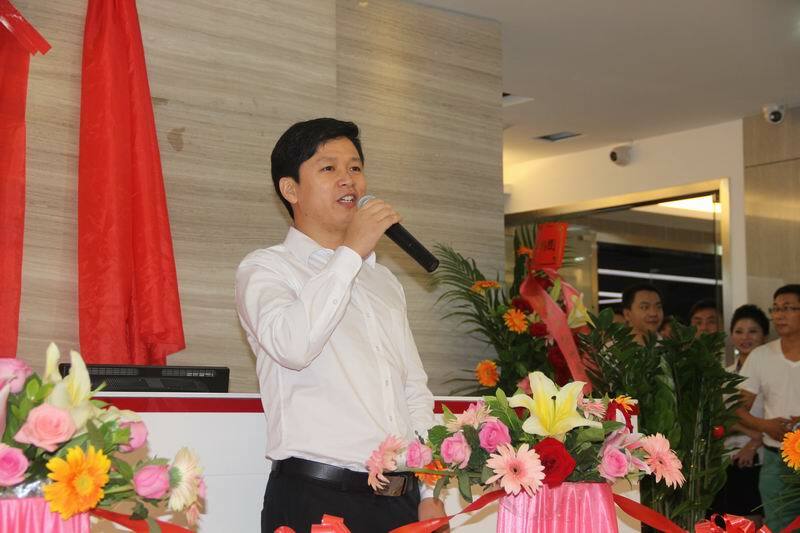 The speech was followed by golden scissor cutting ceremony with representatives from all circles including MTK, it symbolized a flying beginning. 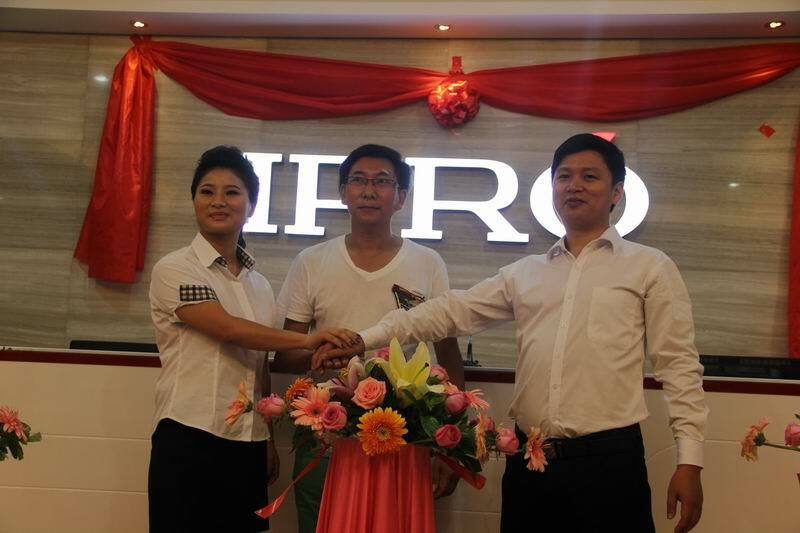 After that, IPRO new logo board mystery was uncovered by Mr. Martin Mei, Vice president Mrs Adele and Mr. Tu, accompanied with enthusiastic clapping and hurrah, new logo come to us, the font is magnificent and stable, a red leaf on the logo top symbolizing life and vitality, fully showing IPRO “Fashionable and Practical” brand core value. 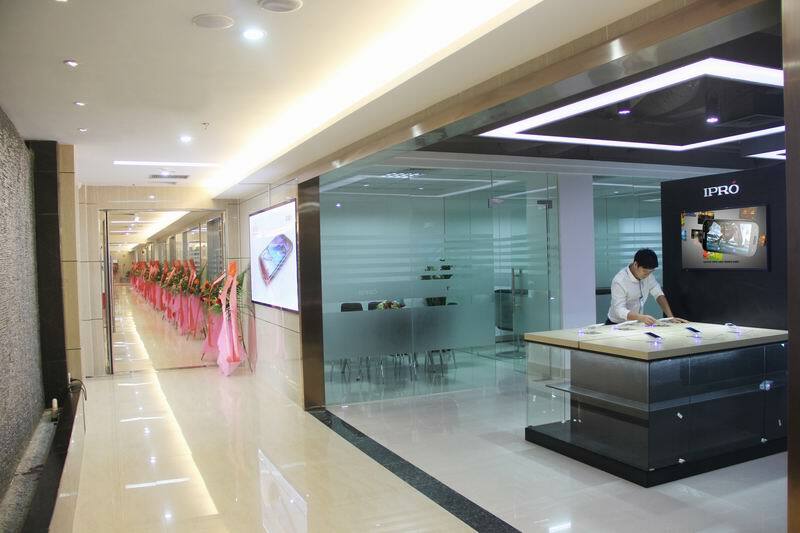 After ceremony, honored guests visited IPRO new office with Mr Martin Mei, the new office occupies 3000 square meters, whole decoration style is compact and bright, comfortable and generous, built in a top world class mobile phone R&D lab, quality testing lab. 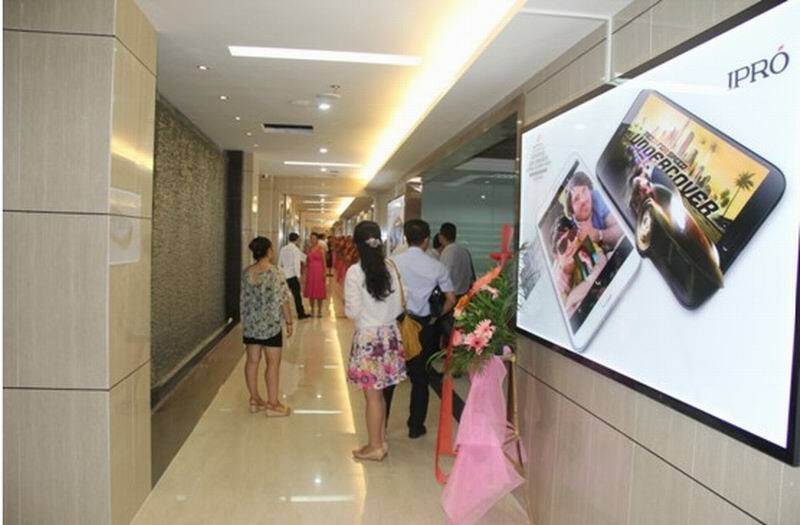 When guests came to IPRO sample show room, all praised the amazing layout and listened IPRO new products status, agents also shows big interest about the new products, some even confirmed orders on the spot. 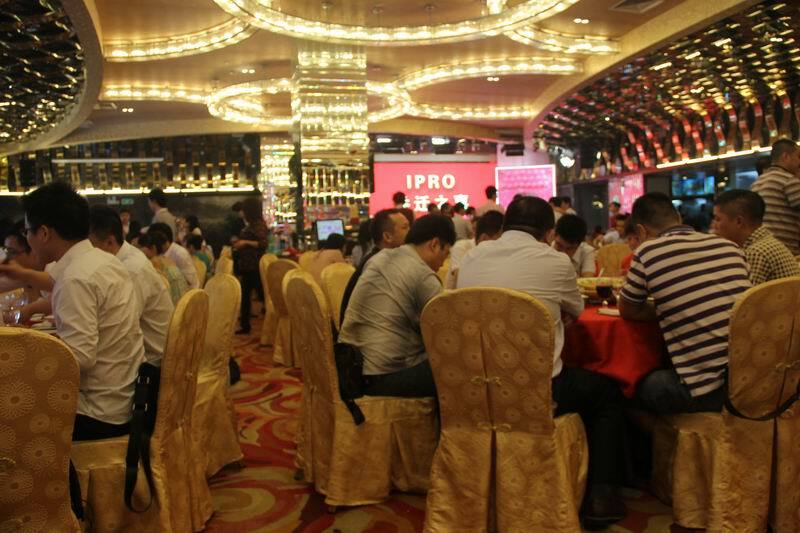 At last, honored guests and IPRO staff representatives 300 people met for lunch, joined all in a toast to wish IPRO a better tomorrow! IPRO CEO Mr. Martin Mei is making the address. 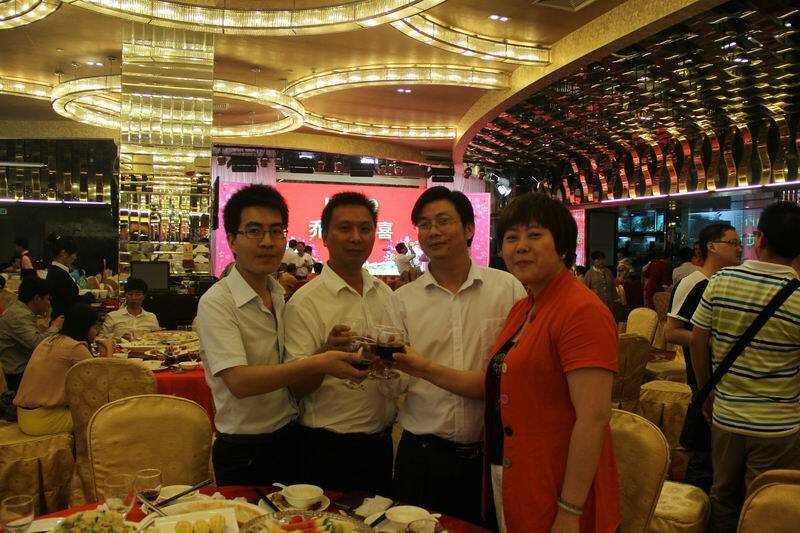 CEO Martin Mei, Vice president Adele (left) and Vice president Mr. Tu (right) group photo. CEO Mr Martin Mei and honored guests group photo. 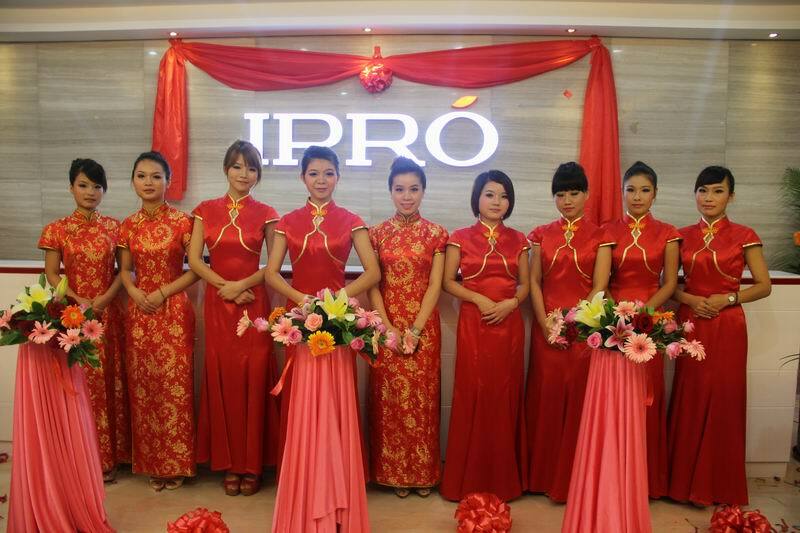 IRPO staff dress in China traditional costume. 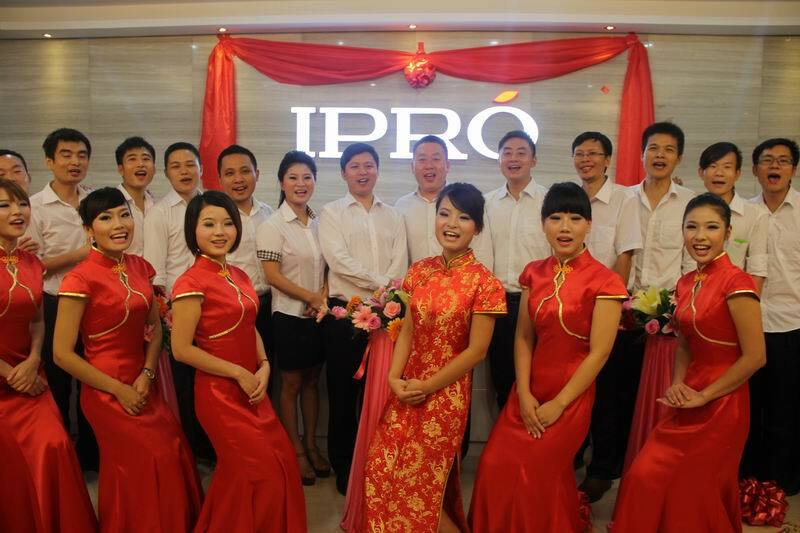 IPRO sales team representative group photo. 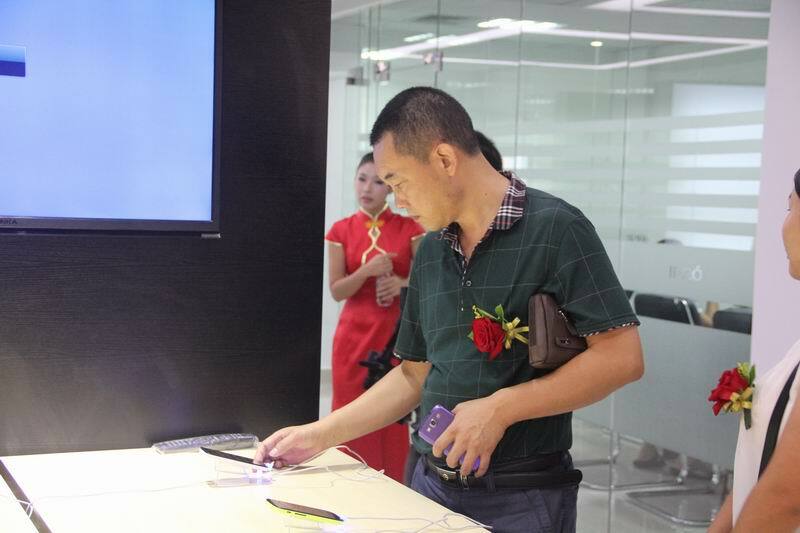 Martin Mei is introducing a guest IPRO newest pad phone: Super Pad. Guest is learning new product interestingly. Wide and bright new office. 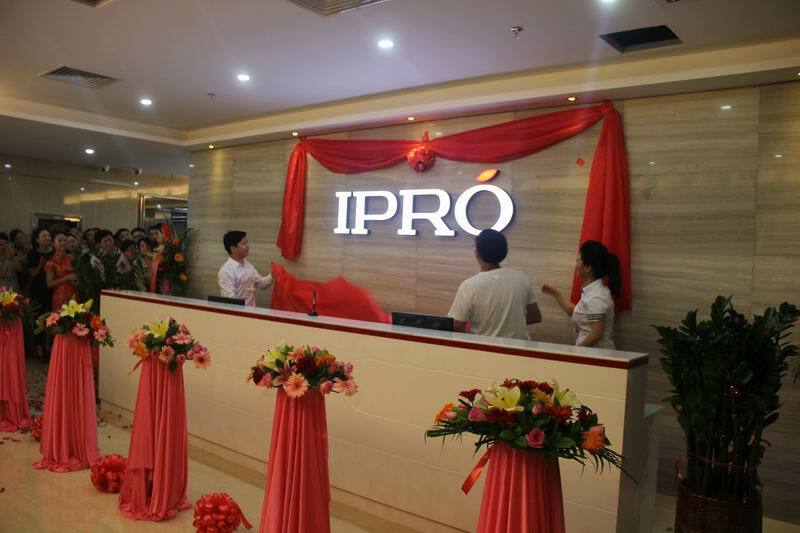 IPRO agents is confirming orders with IPRO sales. Wish IPRO a better future !